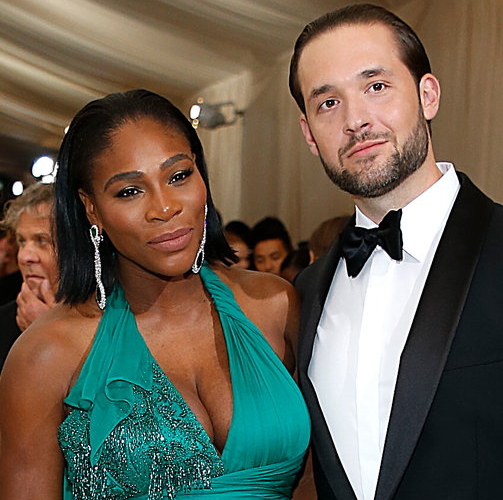 Check out Serena Williams and her baby daddy-to-be, Alexis Ohanian on the red carpet at the 2017 Met Gala. The event held at Metropolitan Museum of Art in New York city on Sunday. The expectant mother debuts a totally different look in a plunging emerald gown and matching earrings. She was seen in the company of her fiancee throughout the event. 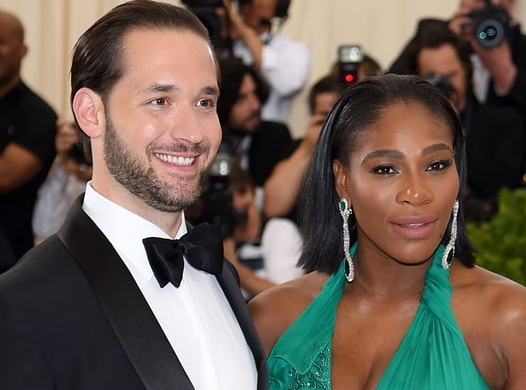 Celebrities are trying to re-define marriage, yeah,this my comment don’t suppose to be under this headline, but it’s obvious she is not looking or ready for husband,rather baby. Congratulations and i’m wishing you happy family. You can’t escape baby fact even as an athlete. So so beautiful. Wow, congrats. I wish u safe delivery.